We are happy to contribute not only to the Latvian business but also support the sportive environment. On the 1st of April, 2017, a tournament of indoor football “STRONG CUP” was held at Riga Olympic centre. 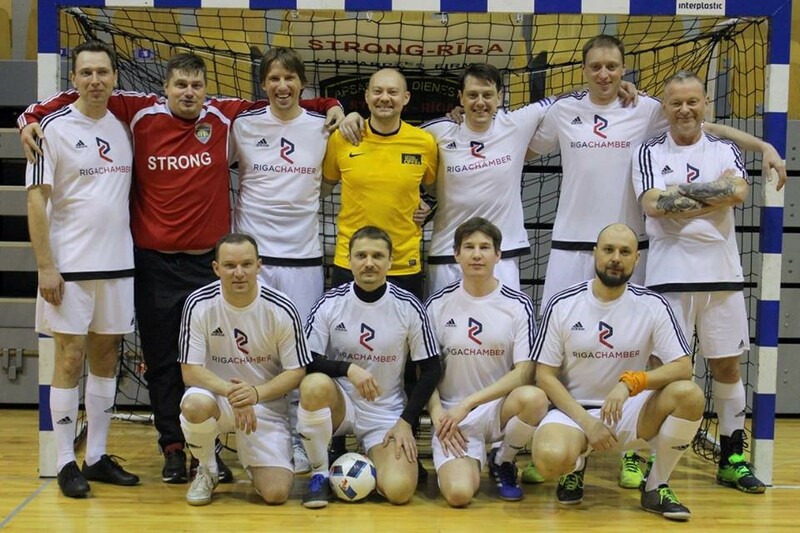 The main organizer of the tournament was the security company “STRONG” in cooperation with Riga Football federation (RFF). Teams presenting the Latvian business as well as guests from Estonia, Lithuania, Ukraine, Russia and Belarus participated in the tournament. “Energy Resources CHP” SIA RSEZ was the sponsor of the team of Riga Chamber of Industry and Commerce (RCIC) this year, and the Chairman of the Management Board Roman Vdovychenko led the mentioned team of Riga Chamber of Industry and Commerce (RCIC), which took the 6th place in competition of 10 teams in the Business league. The results of participation: four draw games, three victories and two losses; this is a good indicator for the first competition of the team. We want to thank the organizers and Sergey Scegolev personally for the wonderful tournament and the RCIC team for the work and good times! See you at the next tournament!